To format a hard drive means to delete any information on the drive and to setup a file system so Windows 7 can read from it and write data to it. All the data resting on your hard drive will be wiped out. In this tutorial, we will show you how to format hard drive. To format hdd, right click on “computer” and click on “manage”. The “computer management” window will open. From the left pane, select “disk management”. A list of all connected disk drives will be displayed in the center. 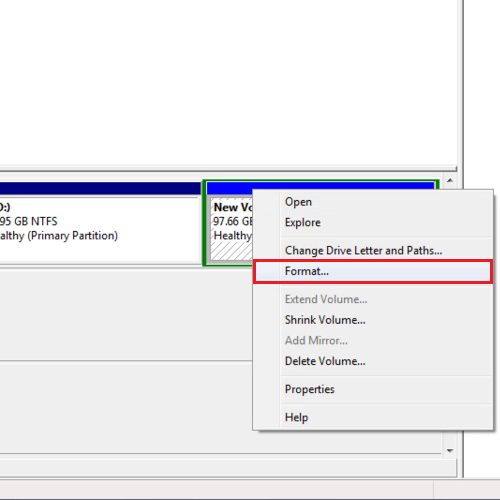 Right click the blue bar of the partition which you want to format and click on the “format” option to format hdd. Right click the blue bar of the partition which you want to format and click on the “format” option to format hard drive. 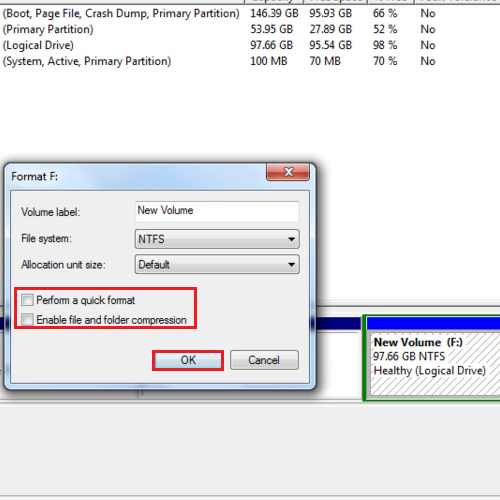 You can choose a name for the partition under “volume label”. 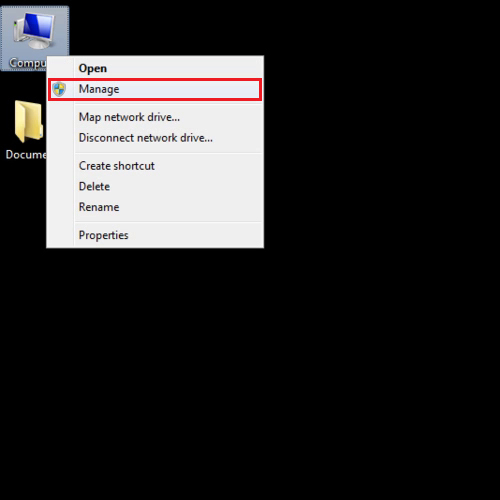 The file system should to “NTFS” if you want to use this drive only with windows as in this case. Otherwise choose “exfat” for Macs. Keep the allocation size to Default and uncheck the “perform a quick format” option and click on “ok”. Once the formatting has been done right click on the blue bar and open it. All your data would have been erased after formatting.